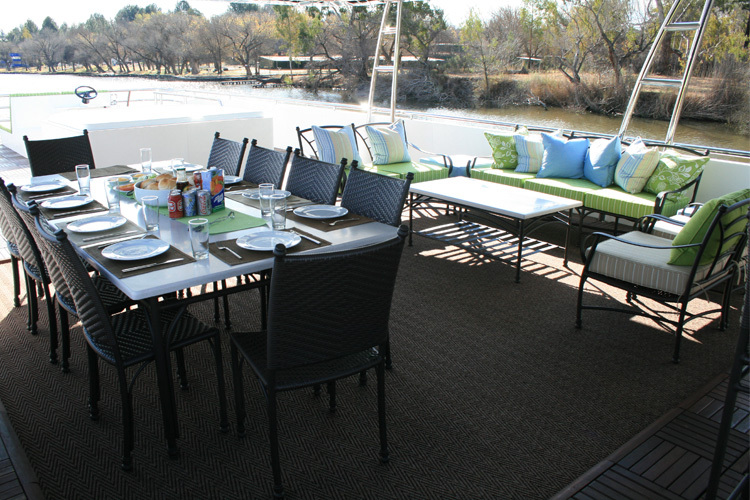 The Vaal River offers pristine Natural enviroments with sunset views and starry skies. It offers bird watching opportunities and “House Spotting Areas”. Along its shores there are numerous day time garden restaurants and river front waterholes. 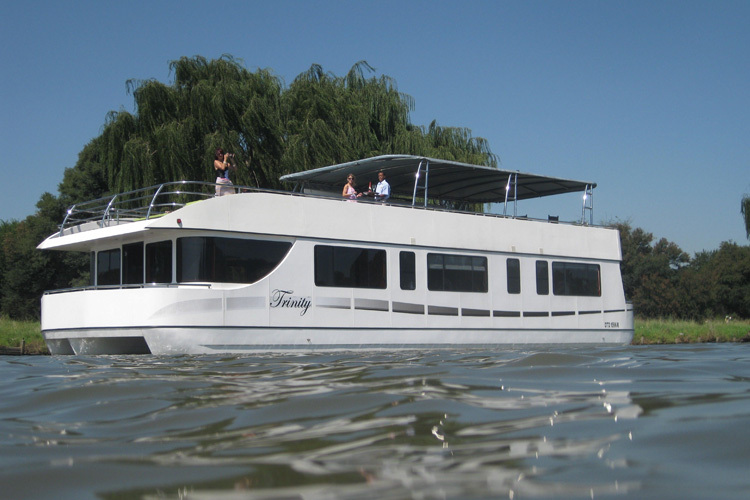 Season specialities like the Vaal River Meander Wine route, Vaal River Carnival, Carols by Candlelight, River Rotary and F1 Power boat racing are something to bear in mind when booking your vacational Houseboat. 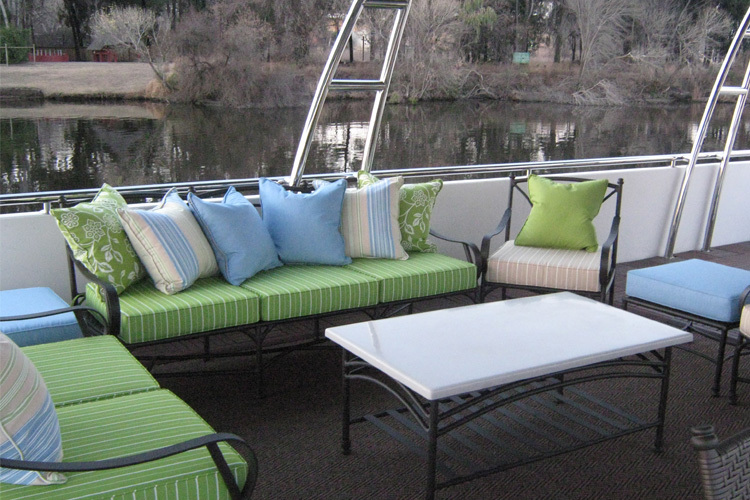 To accommodate smaller groups less then 10/8 guests we have a minimum rate requirement of 6 guests. Menu options and beverage lists will be sent upon booking to cater to your specific requirements. Any additional surcharges incurred during your cruise must be settled on checkout. The boat is moored at the Emerald Resort & Casino in Vanderbijlpark. We will stipulate times of arrival apon booking confirmation. Emerald Casino does have secure parking facilities, with 24 hour security. We do have a limousine on offer should you wish to be transferred in style. The limo service will be charged separately. There is a geyser that provide hot water, although we ensure enough water onboard we do ask guests to conserve where they can. around when needed and they will ensure your privacy when not. When it comes to your safety the skipper is NOT LENIENT. Any activities must be arranged with the skipper and executed accordingly. There are few pre-determined pit stops along the route that the skipper can make. Any “off the chart” stops will be assessed and decided upon by the skipper.